A general view of the action during the Allianz HL clash between Cork and Dublin at Pairc Ui Rinn. 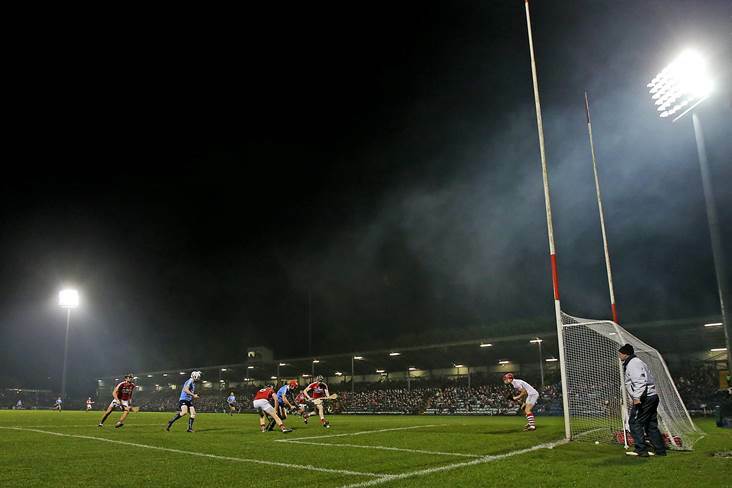 Cork GAA has confirmed that their remaining home games in the 2019 National League will be played at Páirc Uí Rinn. It comes after the new Páirc Uí Chaoimh pitch cut up badly during a recent league double-header. Now less than two years after it was laid, a decision on whether to replace the pitch will be made in the near future. Meanwhile, a report "to clarify the current estimated full cost" of the redeveloped Páirc Uí Chaoimh was presented to the stadium board this afternoon and returned a figure of €95.8m. This report was based on all information made available to the two board members and was presented to the stadium board this afternoon.